Stay up to date with the latest from YDI! 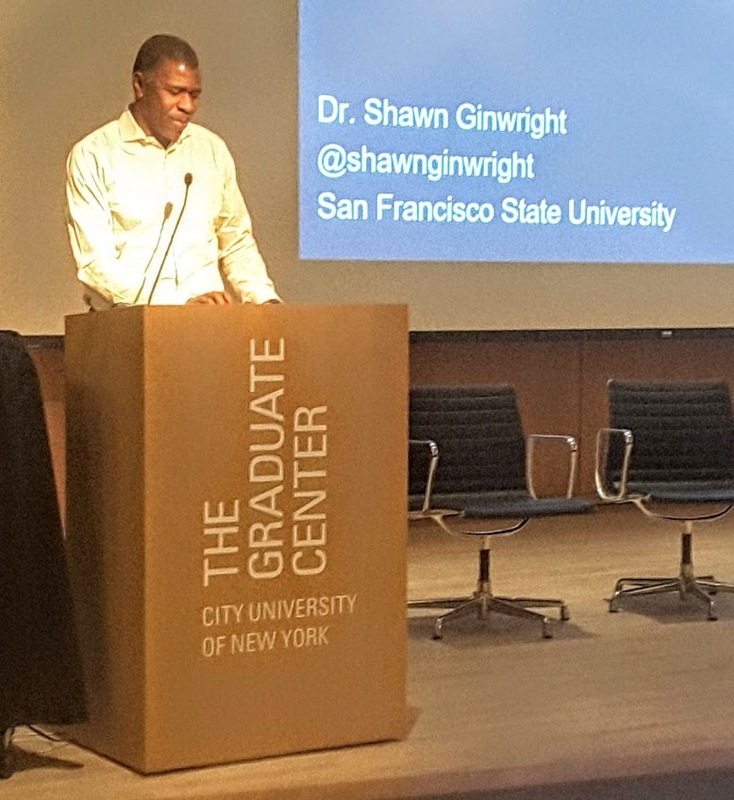 Keynote speaker Dr. Shawn Ginwright offered a compelling perspective and fresh ideas for advancing quality programming for young people in urban settings where trauma and disconnection are common challenges. Ginwright offered that recognizing the need to heal is crucial for youth—especially young people of color for whom encountering racism is often a daily assault—but is equally important for practitioners. Ginwright urges youth practitioners to engage in a process of reflection around the wounds of oppression so that we are all better prepared to offer young people the authentic relationships that they need. In his radical healing model, Ginwright speaks to the importance of hope as crucial for unlocking our power to engage in truly transformative work. The workshop attendees, numbering more than 250 youth development educators, counselors, funders, program designers, practitioners and policymakers, took Ginwright's message of radical healing to heart and used it as a basis for their later discussions in smaller group breakout sessions. Other speakers included researchers from Citizens' Committee of Children of New York, who shared with the assembly successes arising out of youth activism around the city. CCC researchers drew the connection between youth involvement in advocacy efforts and their positive development. Department of Youth and Community Development Assistant Commissioner Denice Williams shared how DYCD city policy is using these findings as a springboard to embed civic engagement and leadership activities into RFPs for Beacon, Cornerstone, COMPASS and other youth programming. Kim Sabo Flores, CEO of Algorhythm, encouraged the group to be mindful of the power of relationships in youth work, and she gently prodded the group to take care not to relegate the work of relationship-building to the "in-between-times." Instead, she advocated that practitioners place connections and relationships more intentionally at the center of our work with young people. Voices of youth were included in the plenary sessions and throughout the day, repeating the mantra that young people's ideas and experiences shouldn't be overlooked. Reflecting sensitivity to this urgent plea, at the end of the day practitioners and planners resolved to leave a space for young people to create and design the programs being developed for their benefit. As the day ended, participants used hashtags to represent their core takeaways of the days’ work: #ByTheYouthForTheYouth, #Hopebuilds, #UsandWe, and #HandOverTheKeys.